The last time I was here, we went for the Crayfish Hor Fun and were delighted. That’s when I saw a queue that was 20 deep for something. 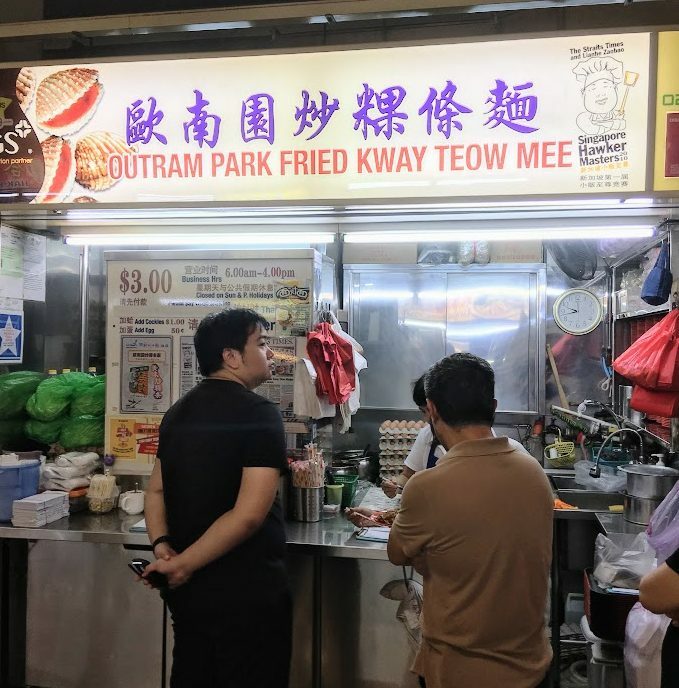 I didn’t know what it was, but I took a look and it was Outram Park Fried Kway Teow. 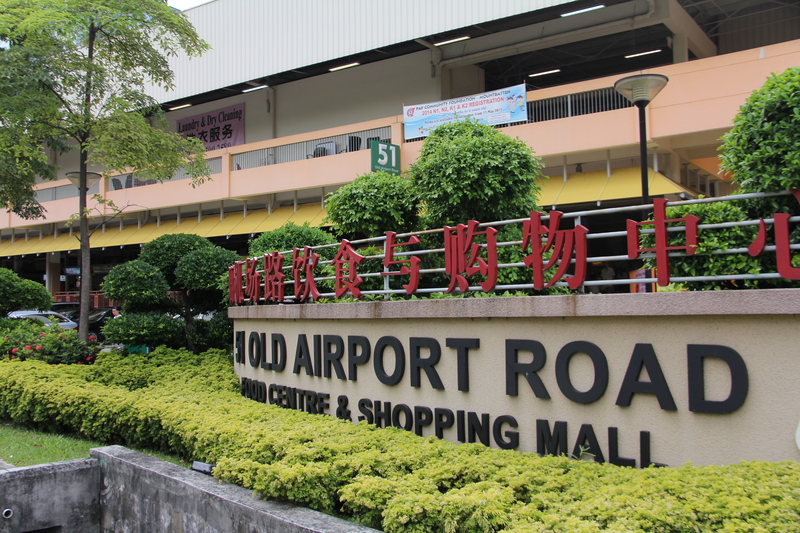 Turns out that it’s considered one of the best in Singapore, and a Hawker Master. 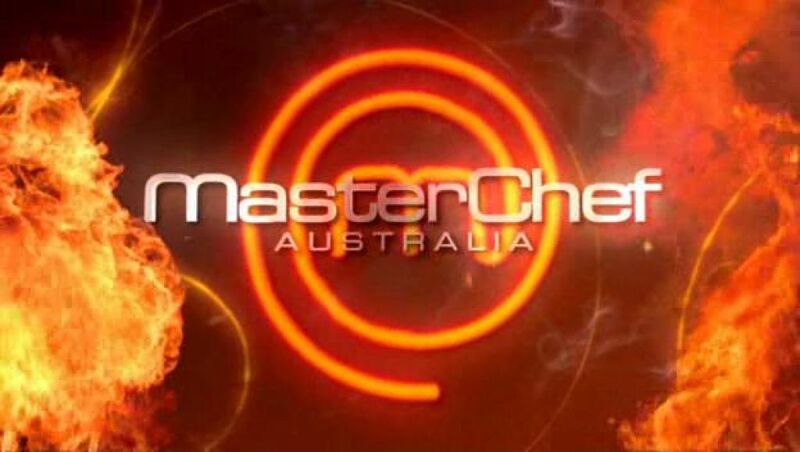 I said I would try it next time – if the queue was shorter. Thus, I went on a Saturday morning at 1030am (it opens at 6am), and the queue was only about 8 deep. Thus, we queued. The auntie came down, took the order – you can specify your order (no chili, extra bean sprouts, extra hom, etc.) – and took money. Then you just moved with the queue. And voila, after about a 10 minute wait, we had our Char Kway Teow. My first note was that there was a bit of Sea Hom, not my favorite, so I ate some and gave most to Lena. But the chili was nice, it wasn’t as greasy as it looked and it overall came out to be a nice plate. Then, I tried Lena’s plate, which contained no chili. And guess what? It was tasteless. Maybe because I just ate the chili one, but this one was pretty plain and pretty non-descript. Therefore, I will say it’s a good plate, but if you don’t like chili and you get the normal plate, it will be bland – not spicy and not sweet. 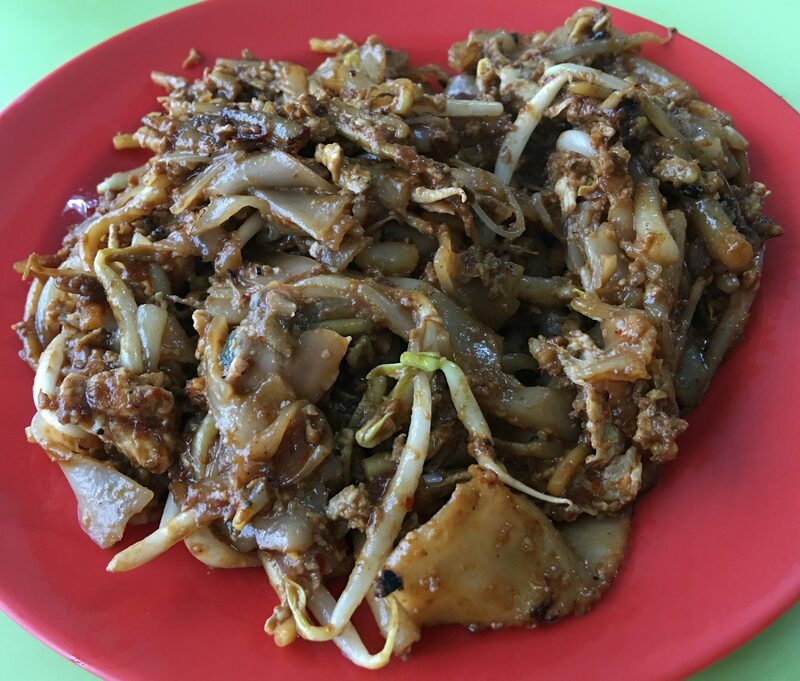 Posted in Char Kway Teow, SingaporeTagged Char Kway Teow, Hong Lim, SingaporeBookmark the permalink.